80,298 people voted, and they picked the Nissan GT-R as the MSN UK 2009 Car of the Year. 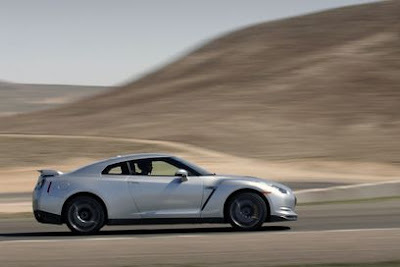 23,286 were in favor of the GT-R giving it a significant margin of victory over the 2nd place Jaguar XF. The award was recieved by John Parslow, Sports Car Marketing Manager at Nissan GB, who said; "We are thrilled to get such a strong public endorsement as being given the MSN Cars 'Car of the Year 2009.' It really is a testament to Nissan's vision that we created the GT-R as a high performance car that responds faithfully to the driver's wishes, whether on the road or on the racetrack. The design, ultimate performance and handling qualities of the GT-R means it has a reputation that extends far beyond its loyal owners."